We rushed through the narrow passage hunting down our seats in an attempt to get the window seat. It was for the first time we three sisters were travelling alone and we debated for a while who's going to be the odd one who had to sit with someone else. Being the eldest, I sat my younger sisters together and took to my separate seat anxiously waiting for who would come next to mine. A huge lady walked to the seat and before she settled, I wondered if she would fit into the cramped economy class seats with barely any leg room. Would she be able to get up if I had an emergency nature's call? What if she snored? The feeble mind of a 13 year old. She wasn't new to this set up, one could tell. She tied her seat belt, plugged her earphones and unperturbed went to sleep. I was not very thrilled about my flight partner for next 4 hours, I lip synced to my sisters sitting behind. The air hostess woke her up with a nudge for dinner time. I had learned early that me and airplane food don't get along and always chose to not order. To my surprise, she denied ordering as well. That was perhaps the first time we looked at each other and smiled. The lights were dimmed and dinner wrapped up on the flight, when she removed what looked like jute tote from under her seat. She planted a wrinkled, crumbled newspaper parcel onto the tray table, which revealed a neatly packed newspaper pouch underneath. I watched with enthralling enthusiasm as she picked up the small rounded disc of fritters and asked me 'Sabudana vada khaoge?' (Will you eat a sago fritter?'). I was quick to accept, perhaps because I was hungry or that it seemed to be something special, a secret only we two were to enjoy. Despite, what may be hours after it was prepared, the sago pearls were crispy with a melt in the mouth starchy interior that with crunch of roasted peanuts, opened a whole new world of what I love eating as a child. I wanted to ask for more but instead decided to wait till I got home to ask Ammi (mother) to make it for me. This recipe is inspired from those sago fritters. The star in this fritter is amaranth that is first cooked with some vegetable stock. The spices are limited to cumin seeds which pair wonderfully with the earthiness of amaranth. 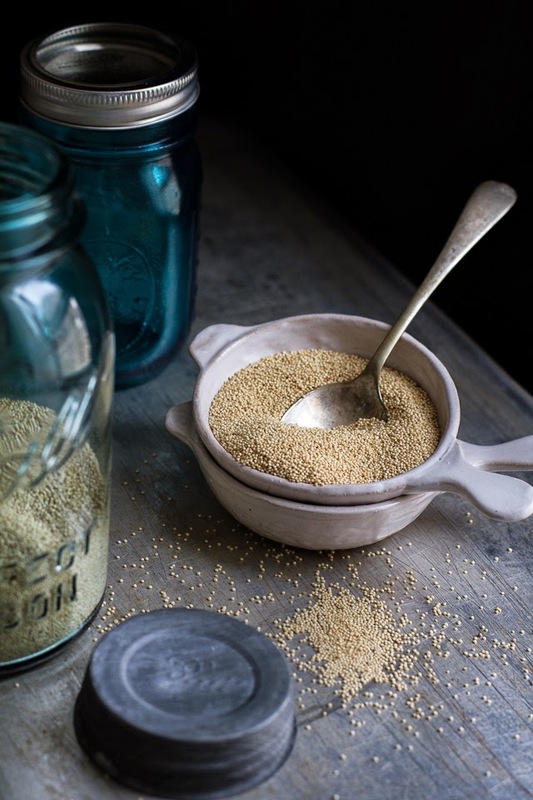 When they are fried at a high temperature, the amaranth pops creating a golden brown crust on both sides which alone is worthy of making this recipe. But it gets better. The inside is tender potatoes and peas, crunchy peanuts and fresh robust flavor from the coriander with spikes of green chillies to hit your taste buds just enough to make you want to go for more. * This is slightly fragile while frying because I choose to add less potatoes to let the amaranth be the star. Bring the vegetable stock to a boil and add the amaranth and peas. Salt the stock if it is not already seasoned. Cover and cook for 20 minutes or until the water is absorbed. Meanwhile, boil the potato under tender. Remove the skin and mash it. In a food processor, roughly pulse the coriander leaves, roasted peanuts and green chillies. You don't want to make a paste. Just hand chop them if you so choose. Mix it with the amaranth, peas and potatoes. Add salt, pepper and cumin seeds. Roll into equal size balls and slightly flatten them. Heat the ghee until it's very hot and add the fritter to the pan. Let it sizzle and crisp up on one side and then flip them over. They take about a minute on each side. Serve immediately with green chutney or a simple yogurt, garlic and lemon juice dip as I did. Lovely recipe Kulsum! Such a great way to use amaranth. 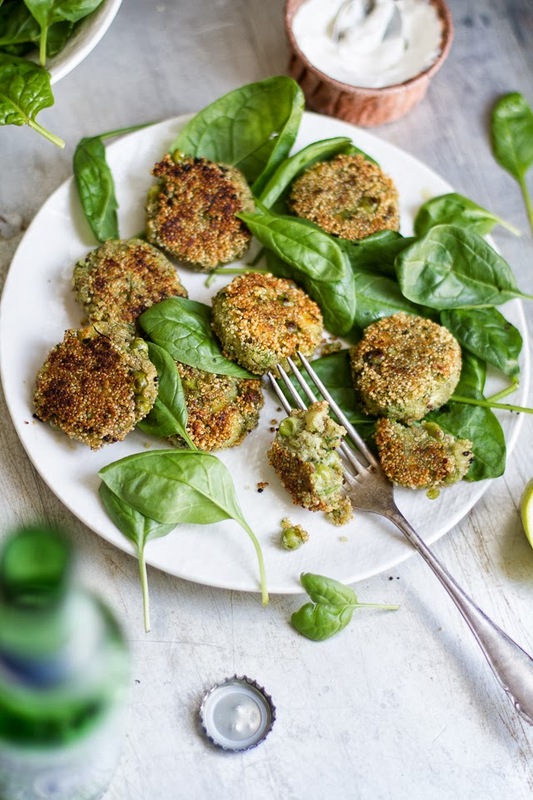 Wonderful fritters and great combination of healthy ingredienst! What a beautiful story. Those remind me a lot of Falafel ( an Arabic fritters made with chickpeas) , I am sure you heard of it. I can't help but notice the soda bottle in most of your pictures. Is it a requirement for Indian eating (joking :)? Its the season... Love amaranth in all its avtars, Though I do not fast but navratri is time to indulge in healthy goodness of jaggry and pooped amaranth seed laddu and kheer that my mom cooks now this new idea I am sure this is going to come out delicious too. And yes as always beautiful photographs Kulsum ! 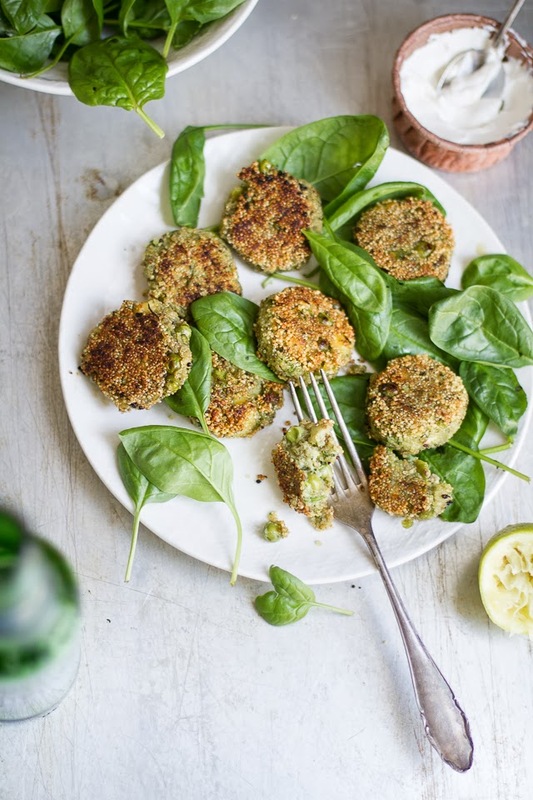 Making Patties is surely a recipe with taste bhi and health bhi! Lovely clicks K.
Love the recipe. I have to try these! for some reason, I have mostly enjoyed airline food..lovely recipe here. peanut is such a nice surprise. I love this story! I'm not a fan of food on airplanes either (in fact I wrote a post about it very recently!) so a little tupperware of these would keep me very happy. I have an unopened pack of amaranth in the cupboard - what a perfect introduction! i've never had amaranth before, i've been dragging my feet to try it. this recipe might just get me to take the plunge. Love sago fritters and I really like the take on over here with the whole grain seeds. There's something about flying I enjoy and I infact look forward to their Indian Vegetarian meals, which are not bad..
How I love this story! What magic discovering this food connection with the fat lady :-) And a great recipe. I must try this. What a great story, Kulsum! 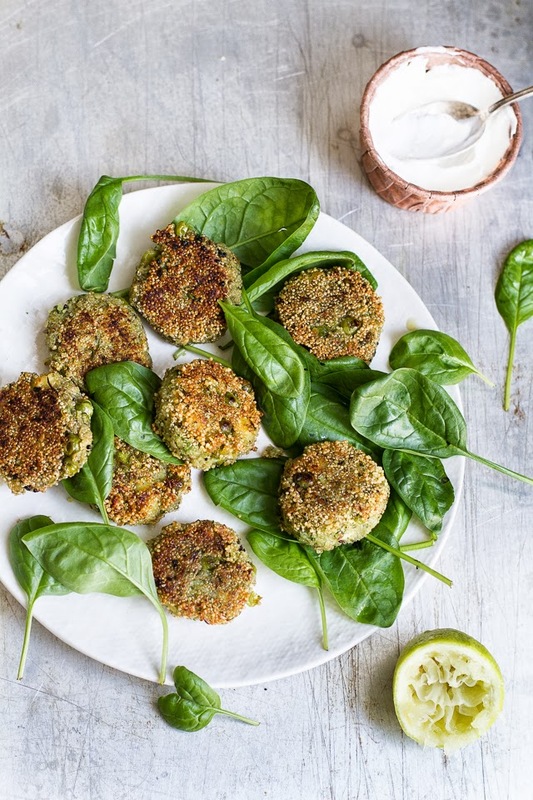 I love the way you have used amaranth in the fritters, it's a great way for me to use up the stuff that I have in the pantry! So nice of her to share her special meal, what a great memory. This story made me wish I had sisters to travel with! 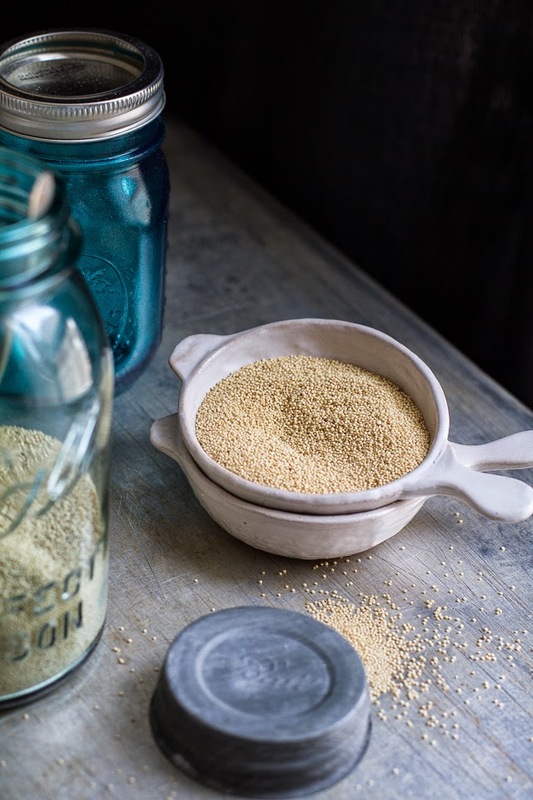 Or at least travel companions who brought food :) I don't think I've ever had amaranth but am always on the hunt for healthier grains so am definitely bookmarking this! These are delish! I subbed some curry roasted sweet potato we had on hand for the peas and my husband is eagerly awaiting a fresh batch from the pan. Yum! !